The following describes the Anti-Spam Policy for BassFishingForever.com website. Spam is unsolicited email, also known as junk mail (received via email), or UCE (Unsolicited Commercial Email). Virtually all of us have opened the inbox of an email account and found emails from an unknown sender. By sending email only to those who have requested to receive it, we at BassFishingForever.com are following accepted permission-based email guidelines. They exist. However, as with any body of laws, any individual State spam statutes can and will vary. The spam laws of each State can not only vary, but also have different definitions of unsolicited commercial email. Additionally, there may be various federal agencies keeping track of spam, including the Federal Trade Commission (FTC). At the Federal level, the CAN-SPAM Act of 2003 promulgates some attempt at a coherent and unified approach to unsolicited commercial email. Ultimately, it would be difficult to enforce spam law violations on any consistent or pervasive basis, so your own vigilance is your own best first line of defense. Beyond that, we protect you by ensuring that you are 100% in control of whether or not you ever hear from BassFishingForever.com by email initially or in the future, as detailed in our “No Tolerance” policy below. WE HAVE A NO TOLERANCE SPAM POLICY. We do not email unless someone has filled out an “opt in” form or “webform” expressing an interest in our information or products and/or services, or otherwise directly and proactively requesting it. News of the features and benefits of Membership is spread through advertising, joint venture marketing, and word of mouth, so we are only building relationship with folks who wish to learn more about what we have to offer and willingly subscribe to our content and contact through email. You are always completely in control of whether you receive email communication from BassFishingForever.com, and can terminate at any time. NOTE – Every auto-generated email contains a mandatory unsubscribe link that cannot be removed. Therefore, each communication generated by BassFishingForever.com carries with it the option to “unsubscribe” and never receive another email communication from BassFishingForever.com. CHANGE NOTICE: As with any of our administrative and legal notice pages, the contents of this page can and will change over time. Accordingly, this page could read differently as of your very next visit. These changes are necessitated, and carried out by BassFishingForever.com, in order to protect you and our BassFishingForever.com website. If this page is important to you, you should check back frequently as no other notice of changed content will be provided either before or after the change takes effect. COPYRIGHT WARNING: The legal notices and administrative pages on this website, including this one, have been diligently drafted by an attorney. We at BassFishingForever.com have paid to license the use of these legal notices and administrative pages on BassFishingForever.com for your protection and ours. This material may not be used in any way for any reason and unauthorized use is policed via Copyscape to detect violators. The following describes the Copyright Notice for our BassFishingForever.com website. The entire contents of our BassFishingForever.com website are protected by intellectual property law, including international copyright and trademark laws. The owner of the copyrights and/or trademarks are our website, and/or other third party licensors or related entities. You do not own rights to any article, book, ebook, document, blog post, software, application, add-on, plugin, art, graphics, images, photos, video, webinar, recording or other materials viewed or listened to through or from our BassFishingForever.com website or via email or by way of protected content in a membership site. The posting of data on our website, such as a blog comment, does not change this fact and does not give you any right in the data. You surrender any rights to your content once it becomes part of our website. You are granted a nonexclusive, nontransferable, revocable license to use our BassFishingForever.com website only for private, personal, noncommercial reasons. You may print and download portions of material from the different areas of the website solely for your own non-commercial use, provided that you agree not to change the content from its original form. Moreover, you agree not to modify or delete any copyright or proprietary notices from the materials you print or download from BassFishingForever.com. Also note that any notice on any portion of our website that forbids printing & downloading trumps all prior statements and controls. As a user at BassFishingForever.com, you agree to use the products and services offered by our website in a manner consistent with all applicable local, state and federal laws and regulations. No material shall be stored or transmitted which infringes or violates the rights of others, which is unlawful, obscene, profane, indecent or otherwise objectionable, threatening, defamatory, or invasive of privacy or publicity rights. Our website prohibits conduct that might constitute a criminal offense, give rise to civil liability or otherwise violate any law. Any activity that restricts or inhibits any other BassFishingForever.com user from using the services of our website is also prohibited. Unless allowed by a written agreement, you may not post or transmit advertising or commercial solicitation on our website. The following describes the Disclaimer for our BassFishingForever.com website. THIRD PARTY NOTICE: You understand, acknowledge, and accept the fact that we at BassFishingForever.com are not affiliated with any company, person, or organization of any kind mentioned on this BassFishingForever.com website in any way. Company names, products, logos, trade marks and any other proprietary intellectual property or otherwise belongs to the rightful owner, which is not us. You should not assume, even if a company name is in the website/domain name of this website, that there is an express, implied, or otherwise agreement, joint venture, partnership, or other relationship between us as website proprietors and any of these companies that are discussed merely for educational or other purposes. The opinions, estimates, expectations, and projections contained in any disseminated information are accurate as of the date of release and are subject to change without additional notice. We do our best to ensure that the research has been compiled, obtained, discerned, or interpolated from reliable and trustworthy sources, and therefore believe the positions and beliefs shared are accurate and complete, though obviously not all material known or obtained will be contained, as distilling information into manageable quantity is in large part a goal. We at BassFishingForever.com are not responsible for any errors or omissions contained in any disseminated material and are not liable for any loss incurred as a result of using the material in any way. The intent is merely to provide useful information, products, and services, some of which we may be compensated for. Nothing offered by BassFishingForever.com should be considered personalized investment advice. While our employees and/or contributors may answer your general customer service questions, they can not help you with specific investment questions and decisions, as they are not licensed under securities laws to deal with your particular investment situation. No communication by our employees and/or contributors to you should be construed as personal, individualized investment advice. Investors should not rely on the information given by us to make investment decisions. Rather, investors should use the information at BassFishingForever.com only as a starting point, at most, to do additional independent research so that the investor is able to make his or her own investment decision. You should consult with competent, professional help and read any available Prospectus or Public Company information. This BassFishingForever.com website contains or may contain “forward looking statements” within the meaning of Section 27A of the Securities Act of1933 and Section 21B of the Securities Exchange Act of1934. Any statements that express or involve discussions with respect to predictions, expectations, beliefs, plans, projections, objectives, goals, assumptions or future events or performance are not statements of historical fact and may be “forward looking statements.” Forward looking statements are based on expectations, estimates and projections at the time the statements are made that involve a number of risks and uncertainties which could cause actual results or events to differ materially from those presently anticipated. Forward looking statements in this action may be identified through the use of words such as “expects”, “will,” “anticipates,” “estimates,” “believes,” or statements indicating certain actions “may,” “could,” or “might” occur. Just as our website content does not constitute investment advice, and you should therefore consult a trained professional of your choosing, the same is true of other disciplines where expertise is gained through education, experience, and skill-building. Thus, nothing on our website or otherwise disseminated by BassFishingForever.com in conjunction with it should be taken as medical, legal, accounting or other such advice. When in doubt, consult the hired help of your choosing, as you are ultimately responsible for your own affairs. The following describes the DMCA Compliance for our BassFishingForever.com website. We at BassFishingForever.com are committed to responding to any alleged copyright violations, should they occur. Notice of any alleged violation should take the form proposed by the U.S. Digital Millennium Copyright Act as revealed at http://www.copyright.gov. If any material infringes on the copyright of any offended party, we may remove the content from BassFishingForever.com, prevent access to it, terminate or block access for those responsible for the content, and/or any other action deemed appropriate. We may also pass along record of the incident for documentation and/or publication by third parties at our discretion. For your convenience and to speed resolution, notice of alleged infringement may be tendered to BassFishingForever.com via email, using the email address and/or contact information provided on this website. We warn that you will be liable for any and all statutory and common law damages, as well as court costs and attorney fees, if you falsify a claim that your copyrights have been violated. Six figure awards have already been granted for bogus complaints, so seeking the help of competent counsel is advised. The following describes the Federal Trade Commission Compliance for our BassFishingForever.com website. We make every effort at candor regarding any products or services we use, recommend, or otherwise make mention of at BassFishingForever.com We strive to clearly differentiate between our own products or services versus those of third parties, to facilitate inquiries, support, and customer care. Likewise, just as we (and any other legitimate business) may profit from the sale of our own products or services, we may also profit from the sale of others’ products or services (like any retailer) at BassFishingForever.com. Additionally, wherever products or services may give rise to income generation, we endeavor to provide realistic and factual data, but highlight the fact that the variables impacting results are so numerous and uncontrollable that no guarantees are in any way made. It is our goal to embrace the guidelines and requirements of the Federal Trade Commission (FTC) for the benefit of all, and with that in mind provide the following disclosures regarding compensation and disclaimer regarding earnings & income. 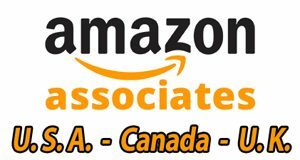 One or more parties affiliated or associated with our BassFishingForever.com website in some way may be an Amazon.com affiliate. This means that links to products on Amazon.com, as well as reviews leading to purchases, can result in a commission being earned. Again, disclosure of this material connection and the potential for compensation may not be made at every single possible opportunity. To be safe, simply assume there is a material connection and potential for compensation at all times. While this does not imply skewed or unduly biased reviews, full disclosure calls for this warning. You should assume that we may be compensated for purchases of products or services mentioned on this BassFishingForever.com website that are not created, owned, licensed, or otherwise materially controlled by us. Stated differently, while most people obviously understand that individuals make a living by way of the profit that remains after the costs associated with providing their product or service are covered, at least theoretically there may be someone out there who does not understand that a third party can “affiliate” someone else’s products or services and be compensated by the product or service creator/owner for helping spread the word about their offering. Just compare it to retailers. They seldom produce anything, but rather make their money connecting product and service creators with end users. First, just always operate from the position that any website proprietor, including us at BassFishingForever.com, will have a material connection to the product or service provider, and may be compensated as a result of your purchase, unless expressly stated otherwise. Aside from your purchases, note that even you actions could result in earnings for this website. For instance, there could be ads displayed on this BassFishingForever.com website that we are compensated for displaying whenever a website visitor clicks on them. Third, despite the fact that it would be counterproductive to mention products or services that you’ll find disappointing or inferior, not only are people different, but it’s also possible for us to have a lapse in judgment. Thus, to be extra cautious, even if you believe in our good faith motives, you may as well go ahead and keep in mind that we could be at least partially influenced by the monetization factor of listing various products or services on our BassFishingForever.com website. Furthermore, in that vein, the reality is that there are sometimes other connections between parties that are not monetary, such as personal capital, goodwill, or otherwise, that could be an underlying undercurrent swaying the decision to promote a particular offering. Due to this hypothetical possibility, you should again simply nor rely solely on what we have to say, but rather just form your own independent opinion just to be safe. Finally, bear in mind that we might also receive free products or services, gifts, or review copies of items too. Testimonials regarding the outcome or performance of using any product or service are provided to embellish your understanding of the offering. While great effort is made to ensure that they are factually honest, we at BassFishingForever.com are not liable for errors and omissions. Aside from human error, some information may be provided by third parties, such as customers or product/service providers. The best results are not uncommonly correlated with the best efforts, discipline, diligence, and so on, and thus the results depicted cannot, in any way, be construed as common, typical, expected, normal, or associated with the average user’s experience with any given product or service. Exceptional results may be depicted by our website as highlights, but you are responsible for understanding that atypical outcomes may not reflect your experience. Aside from market conditions, products and services change over time. Older products may lose effectiveness. Newer products may not have a reliable track record. Many products and services are designed to solve problems. Common problem areas include legal, financial, and medical. We are in no way purporting to counsel you on issues related law, finances, or health. If you require guidance in these arenas, you should consider securing your own counsel from lawyers, accountants, tax professionals, investment advisors, or medical professionals before taking any action. Nothing we may ever communicate at BassFishingForever.com in print or spoken word, will ever be intended to constitute any such counsel, as we do not claim to be professionals in any of those disciplines. You assume all risk for actions taken, losses incurred, damages sustained, or other issues stemming from your use of any product or service in any way connected with or mentioned on this website. Indeed, such decision is solely your own, or else determined in conjunction with the professional guidance of the advisor of your choosing. Income-producing products & services are likewise subject to the above cautions. In addition, however, there are additional factors we like to point out at BassFishingForever.com. Unlike weight loss products or self-help materials, income-producing methods are influenced by the overall health of the economy in which one operates. In times of liquidity, money flows freely and commerce is easier. In times of perceived scarcity, fear, recession, depression, or otherwise, commerce is stymied. Results can be influenced by market sentiment, just as the stock market indices around the world are swayed heavily on news. Income-producing products & services purchased should be viewed as just that – purchases. Though they can be investments in one’s business, it is not unreasonable to expect that there may not be an express return on that investment, per se. Often, business success is the convergence of a number of factors, methods, strategies, and so on. It can be hard to peg success to one method or machination. This does not necessarily undermine value of any given product or service, as it can have an additive effect. Or, it may have no effect. Since it can be difficult to tell, you should operate on the assumption that your outcome could be zero. We make no guarantees and you should only risk what you can afford to lose on any purchases on or through BassFishingForever.com. It should also be noted that we only have control over, and thus only accept responsibility for, the content of this BassFishingForever.com website authored by us. Any representations made by others should be considered prima facie unauthorized. You may also read, hear, or otherwise come into contact with commentary about any of our products & services or offerings, and should assume those have likewise not been authorized. You should not construe a third-party offer as an endorsement by that third party of any product or service. You should, more conservatively, view it as an offer to buy something. Likewise, as alluded to previously, note that we cannot fully control all marketing practices by all parties. With the use of “mirror” sites, indirect or unauthorized affiliates, “tiered” affiliate structures, and so on, policing the world wide web with any modicum of thoroughness is unlikely. We make reasonable efforts to ensure our affiliates comply with our policies and represent our products & services consistent with our guidelines. 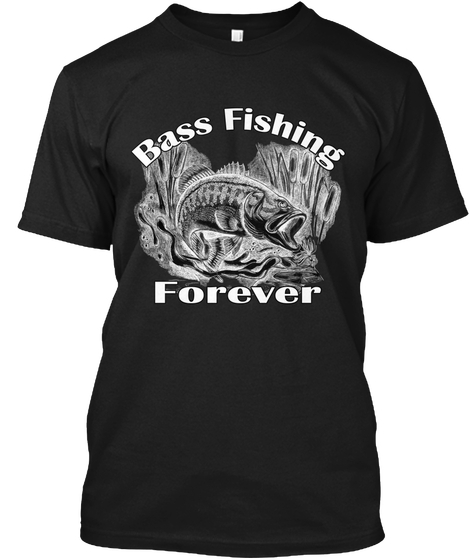 However, at BassFishingForever.com we cannot always guarantee they will do so. You are always free to report concerns or abuses via our Contact information. Your privacy is important to us at BassFishingForever.com. To better protect your privacy we provide this notice explaining our online information practices and the choices you can make about the way your information is collected and used. You agree to agree to these policies by virtue of using our website in a way that leads to you providing us with personal information. Other information may be collected as well by BassFishingForever.com, which is rather typical of most websites. For instance, the source that referred you to our website is generally known. Likewise, your duration on our website, and your destination when you leave our website can also be tracked. Other common data collected includes the type of operating system the computer you are using to access our website has. Similarly, the type of web browser is often noted. Again, this is common data collection, and helps ultimately produce a better end-user experience. A prime example of limited access to our website is where some BassFishingForever.com content may be protected by a username and password. Whether a username and password is generated by our website, or created by you, these will almost always be connected with some other information related to or connected with you. This is true since much content that is protected on the internet is subscription based, often paid for. Thus, the username and password must necessarily be tied to your other account data. Usernames and passwords, by their very nature, should be kept private. While we are staunch privacy advocates at BassFishingForever.com there are times when even we may be forced to abandon these ideals. Just as major search engines face ongoing compulsion to provide data against their will, so too may the same occur with our BassFishingForever.com website. Illegal activity or other serious acts or allegations could create legal liability for our website. In those cases, we reserve the right to share your information, or else may simply be compelled to do so by law. On the other hand, there may be times when we would need to share your private information in order to protect our own interests. For instance, in cases of suspected or alleged copyright infringement or other intellectual property violations, it may be necessary to share personal information. The following describes the Social Media Disclosure for our BassFishingForever.com website. We live in an interesting time when privacy rights are championed alongside an unprecedented voluntary willingness of people to share their most intimate and superfluous life details with the world, even in places such as our BassFishingForever.com website. While apparently benign on the surface, the dangers of unrestrained public disclosure of sensitive information is beginning to surface. As social media rapidly advances to allow more technologically sophisticated and easy dissemination, the simultaneous fallout of revelation without boundaries is mounting. Thus, a sober approach to the benefits of social media, while sidestepping the perils of imprudent disclosure, can facilitate an enjoyable online experience, without the consequences of excess, in settings such as our own BassFishingForever.com website. You should assume that social media is in use on our BassFishingForever.com website. A simple click of a button to endorse a person, product, or service is building a cumulative profile about you, which you should always assume can be discovered by others. Attempting to share a website with someone, whether by direct press of a button or else by email forwarding facilitated on a website, you should assume that this may not stop with the intended recipient, and that this can generate information about you that could be seen by a veritable infinite number of people. Such a domino effect could initiate right here on our BassFishingForever.com website. Something as simple as a blog comment provides the opportunity for knee-jerk reactions that can become public and may not truly represent a position (at least in strength or severity) that you might hold after a period of more reasoned contemplation. You should also note that the ease of accessing one site through the login credentials of another, or the use of a global login for access to multiple sites can accumulate a dossier on you and your online behavior that may reveal more information to unintended parties than you might realize or want. Any or all of these features could exist on our BassFishingForever.com website at one time or another. Ideal use of social media on our website would confine your disclosures primarily to matters pertaining to you, not others. If in doubt, it’s best to err on the side of non-disclosure. It’s doubtful the disclosure is so meaningful that it cannot be offset by the precaution of acting to protect the best interests of someone who is involuntarily being exposed by your decision to disclose something on our BassFishingForever.com website (or another). You should likewise pause to consider the long-term effects of a split-second decision to publicly share private information about yourself on our BassFishingForever.com website. Opinions, likes, dislikes, preferences, and otherwise can change. Openly divulging perspectives that you hold today, may conflict with your developing views into the futures. Yet, the “new you” will always stand juxtaposed against the prior declarations you made that are now concretized as part of your public profile. While the contents of your breakfast may hold little long-term impact, other data likewise readily shared can have consequences that could conceivably impact your ability to obtain certain employment or hinder other life experiences and ambitions. You, as a visitor to our BassFishingForever.com website, are not permitted to “mine” social media or other platforms contained herein for personal information related to others. Even where people have publicly displayed data, you should not construe that as though you have the liberty to capture, reproduce, or reuse that information. Any use of social media or related platforms on our website are for interactive use only, relevant only during the website visit. The following describes the Terms of Service Conditions of Use for our BassFishingForever.com website. Our BassFishingForever.com website (and other “internal” websites stemming from it, such as specific membership sites or webpages pertinent to the main website or weblog) is an online (and, periodically, offline) information service and is subject to your compliance with the terms and conditions set forth below (all parts and parties collectively referred to as our website). You agree to obey all applicable laws and regulations regarding your use of our BassFishingForever.com website and the content and materials provided in it. Our BassFishingForever.com website prohibits conduct that might constitute a criminal offense, give rise to civil liability or otherwise violate any law. Any activity that restricts or inhibits any other user from using the services of our website is also prohibited. Unless allowed by a written agreement, you may not post or transmit advertising or commercial solicitation on our website. Publications, products, content or services referenced herein or on our website are the exclusive trademarks or servicemarks of our BassFishingForever.com website or related parties. Other product and company names mentioned in our website may be the trademarks of their respective owners. Data contained on or made available through our BassFishingForever.com website is not intended to be, and does not constitute, legal advice. Our website, and your use of it, does not create an attorney-client relationship. We do not warrant or guarantee the accuracy, adequacy, or recency of the data contained in or linked to our website. Your use of our BassFishingForever.com website or materials linked to our website is completely at your own risk. You should not act or depend on any data on our website, where applicable, without seeking the counsel of a competent lawyer licensed to practice in your jurisdiction for your particular legal issues. You should not act or depend on any data on our website, where applicable, without seeking the counsel of a competent physician licensed to practice in your jurisdiction for your particular medical issues. You should not act or depend on any data on our website, where applicable, without seeking the counsel of a competent financial advisor licensed to practice in your jurisdiction for your particular financial needs and issues. Access to certain areas of our BassFishingForever.com website is restricted. We reserve the right to restrict access to other areas of our website, or indeed our whole website, at our discretion. We may disable your user ID and password at our sole discretion or if you breach any of the policies or terms governing your use of our BassFishingForever.com website or any other contractual obligation you owe to us. You also understand that our BassFishingForever.com website cannot and does not guarantee or warrant that files available for downloading through our website will be free of infection or viruses, worms, Trojan horses or other code that manifest contaminating or destructive properties. You are responsible for implementing sufficient procedures and checkpoints to satisfy your particular requirements for accuracy of data input and output, and for maintaining a means external to our website for the reconstruction of any lost data. The content may contain inaccuracies or typographical errors. Our BassFishingForever.com website makes no representations about the accuracy, reliability, completeness, or timeliness of the content or about the results to be obtained from using our website or the content on it. Use of our website and the content is at your own risk. Changes are periodically made to our website, and may be made at any time. Our website contains links to third party Websites. Our BassFishingForever.com website makes no representations whatsoever about any other website which you may access through this one or which may link to this website. When you access a website from our website, please understand that it is independent from our website, and that our website has no control over the content on that website. These links are provided solely as a convenience to you and not as an endorsement by our website of the contents on such third-party Websites. Our website is not responsible for the content of linked third-party Websites and does not make any representations regarding the content or accuracy of material on such third party Websites. If you decide to access linked third-party Websites, you do so at your own risk. We do not necessarily endorse, recommend, suggest or otherwise make any overture or prompt for action regarding any product or service offered. You should assume we are compensated for any purchases you make. Again, any income claims should be construed as atypical results and you assume the risk that inferior results obtain, including losses, for which we carry no responsibility or liability. As a user of our BassFishingForever.com website, you are responsible for your own communications and are responsible for the consequences of their posting. You must not do the following things: post material that is copyrighted, unless you are the copyright owner or have the permission of the copyright owner to post it; post material that reveals trade secrets, unless you own them or have the permission of the owner; post material that infringes on any other intellectual property rights of others or on the privacy or publicity rights of others; post material that is obscene, profane, defamatory, threatening, harassing, abusive, hateful, or embarrassing to another user of our website or any other person or entity; post a sexually-explicit image; post advertisements or solicitations of business; post chain letters or pyramid schemes; or impersonate another person. Our BassFishingForever.com website does not necessarily screen communications in advance and is not responsible for screening or monitoring material posted by users of our website. If observed by our website and/or notified by a user of communications which allegedly do not conform to this agreement, our website may investigate the allegation and determine in good faith and its sole discretion whether to remove or request the removal of the communication. Our website has no liability or responsibility to users of our website for performance or nonperformance of such activities. Our website reserves the right to expel users of our website and prevent their further access to our website for violating this agreement or any law or regulation, and also reserves the right to remove communications which are abusive, illegal, or disruptive. You agree to indemnify, defend and hold harmless our BassFishingForever.com website, its members, officers, directors, employees, agents, licensors, suppliers and any third party information providers to our website from and against all losses, expenses, damages and costs, including reasonable attorneys’ fees, resulting from any use of our website or violation of this Agreement (including negligent or wrongful conduct) by you or any other person accessing our website. This Agreement, in whole or in part, may be terminated by BassFishingForever.com without notice at any time for any reason. The provisions of paragraphs 1 (Copyright, Licenses and Idea Submissions), 2 (Use of the Service), 3 (Indemnification), 4 (Third Party Rights), 6 (Hiring an Attorney / No Attorney-Client Relationship), and 7 (Miscellaneous) shall survive any termination of this Agreement, in whole or in part. Any cause of action by you with respect to our BassFishingForever.com website must be instituted within one (1) year after the cause of action arose or be forever waived and barred. All actions shall be subject to the limitations set forth in these Terms of Service and Conditions of Use. Any legal claim arising out of or relating to these Terms of Service and Conditions of Use or our website, excluding intellectual property right infringement and other claims by us, shall be settled confidentially through mandatory binding arbitration per the American Arbitration Association commercial arbitration rules. The arbitration shall be conducted in Michigan. Each party shall bear one half of the arbitration fees and costs incurred, and each party shall bear its own lawyer fees. All claims shall be arbitrated on an individual basis, and shall not be consolidated in any arbitration with any claim or controversy of any other party. Any rights not expressly granted herein are reserved to BassFishingForever.com.